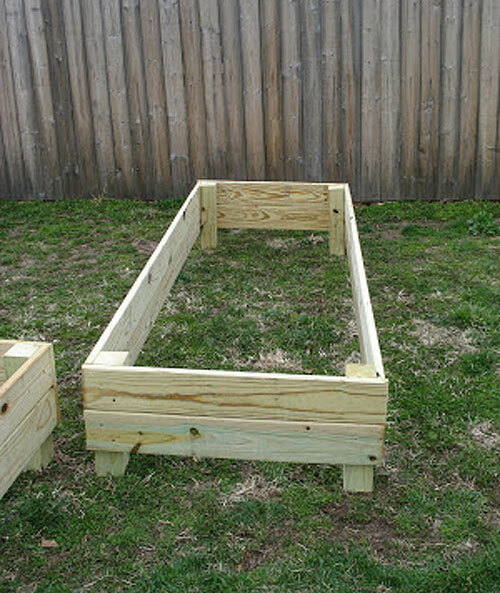 We made three 8×3 raised beds from pressure-treated wood. 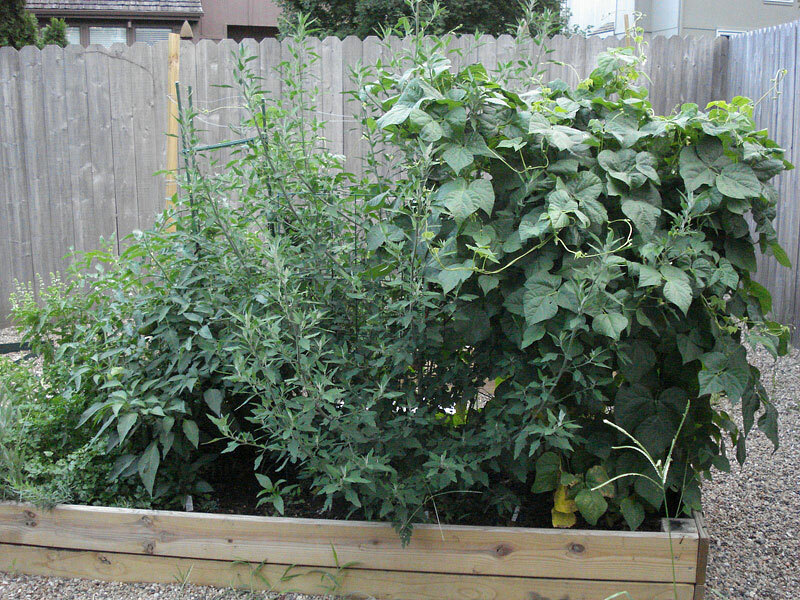 Pressure-Treated is cheap, easy to use but conflicting info about it’s use for food gardens. From what I have gathered from my online research, pressure treated wood used to be treated with arsenic which is not to be used in food gardens. However, they are no longer treated with that particular chemical and it is now safe to use in food gardens. I found the brand that Home Depot stocks (Yella Wood), looked at their website and it verified this. We decided on this size from how they would fit in that area of our yard and they would have to been thin enough for me to reach into the middle. 1. Measure and cut four sixteen-inch pieces of the 4-by-4 lumber. 2. Measure and cut four thirty-six inch pieces of the 2-by-6 lumber. 3. Put the bed together upside down on a flat surface. The four by fours are the corner posts. Put a two by six on it’s narrow side and place the four by four upright at the end. Screw the four by four into the two by six with two screws. Repeat with another four-by-four on the other end of the two-by-six. Then add a second two-by-six to make a second level. Repeat with other sides. If you want the edges to overlap allow the short side pieces to overhang like in the picture. 4. Carry the bed over to your desired location and flip. 5. 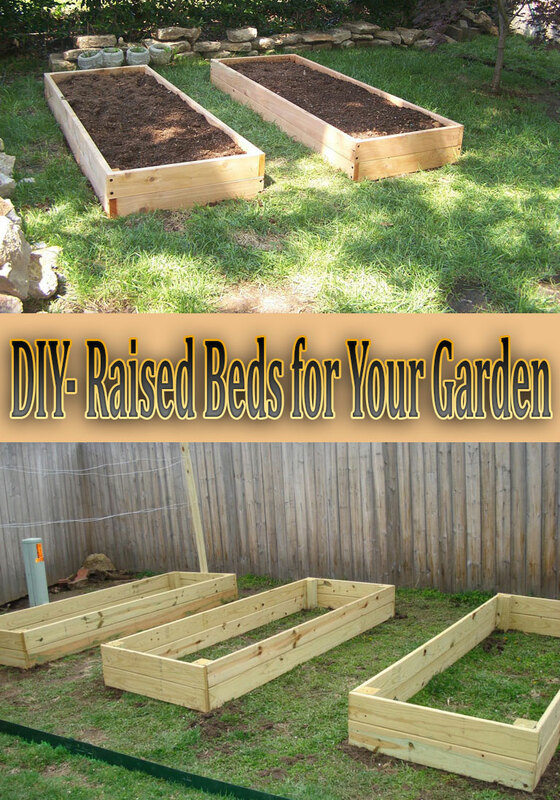 Place the raised beds where you want them. Mark the ground and dig out the four corners to the depth that so that the four posts would be sunk into the ground and the long boards would be flush to the ground. If the ground is not level pack dirt solidly along the long boards. 6. If you have gophers or other burrowing rodents in your area you might want to line the bottom of the beds with wire mesh to keep them out. You also could line them with plastic if you have any concerns about the pressure treated wood. I skipped both of these steps. 7. Fill with dirt. We filled ours with enriched soil from the local garden center delivered to our house. 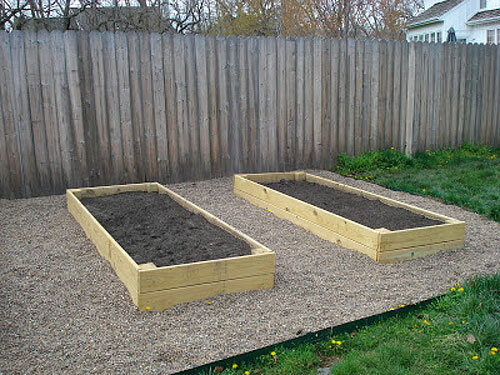 We also added gravel to the outside of the raised beds for walkways but this not a necessary step. 8. 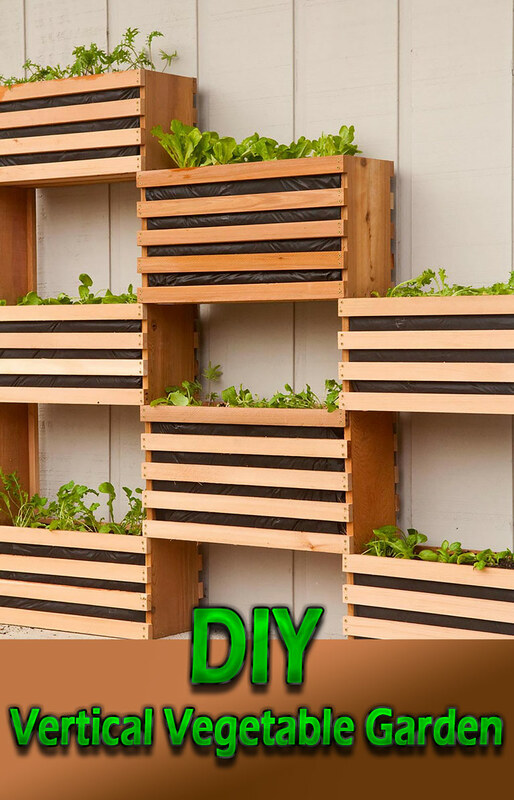 Add seeds and/or plants and enjoy! 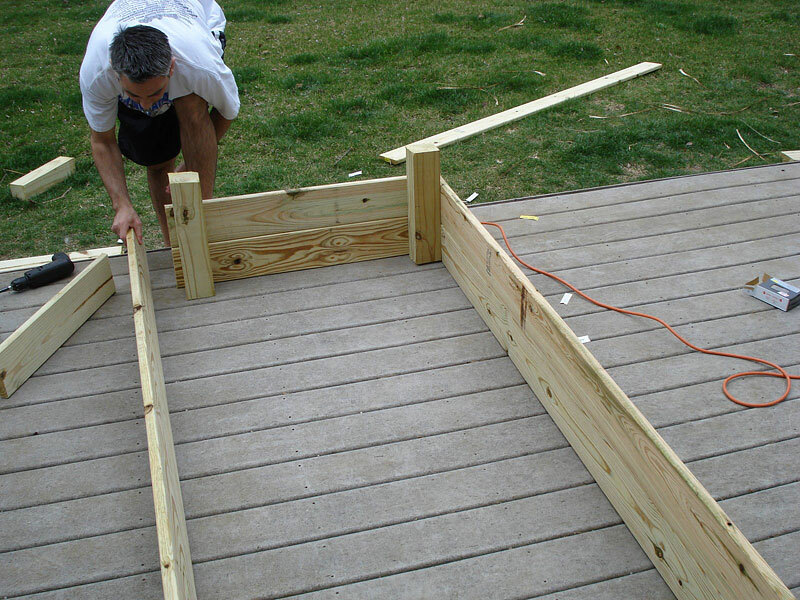 We put three raised beds together in an hour so it was relatively quick and easy but this is definitely a two person job so that one person could hold it still while the other put in the screw. A miter saw would have made the cuts on the four-by-four straighter but since we do not currently own one, we made due with the sawzall. 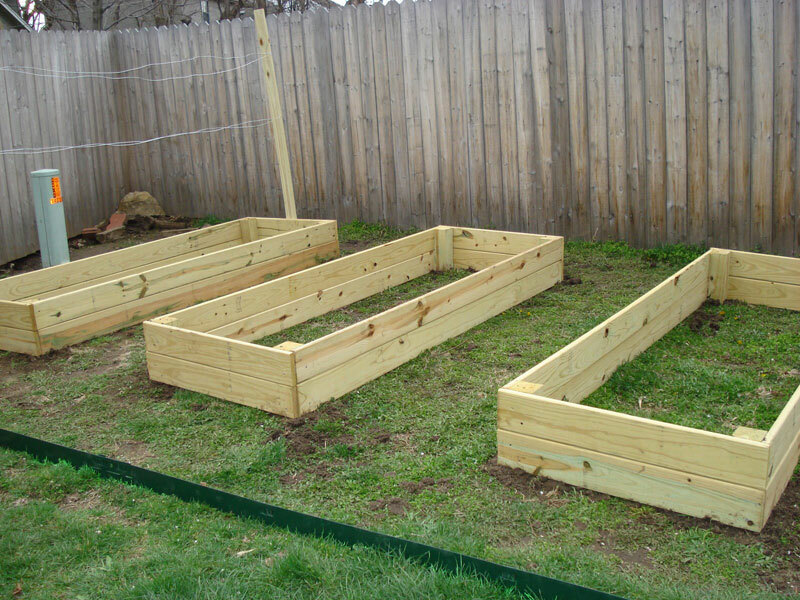 We can’t wait to enjoy freshly grown fruits and vegetables from our new raised beds! The beds are a rousing success! The veggies are growing vigorously which I largely attribute to the great soil quality and drainage of the beds. Line it with plastic. The new chemical treatment is less dangerous and also less effective. 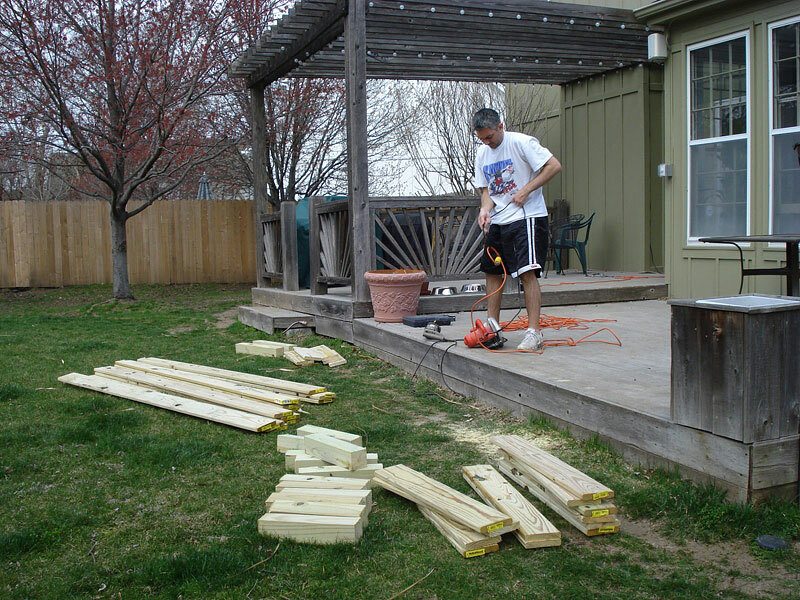 I made mine three boards high using 1×8″ and twice as long, used 2×2 corners and braces, including bracing across in a couple of places. 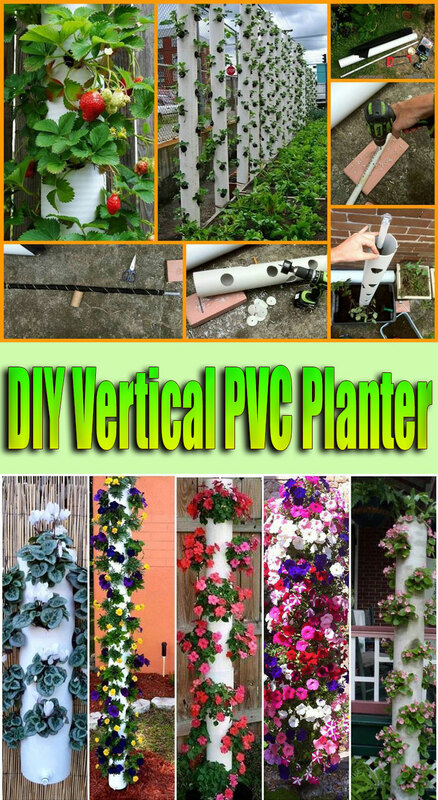 The plastic keeps water and dirt from leaking out of the gap between boards ( I used duct tape in my flower beds instead of using plastic) and also slows any leaching from the boards. The sun rots the plastic above the dirt fairly quickly. 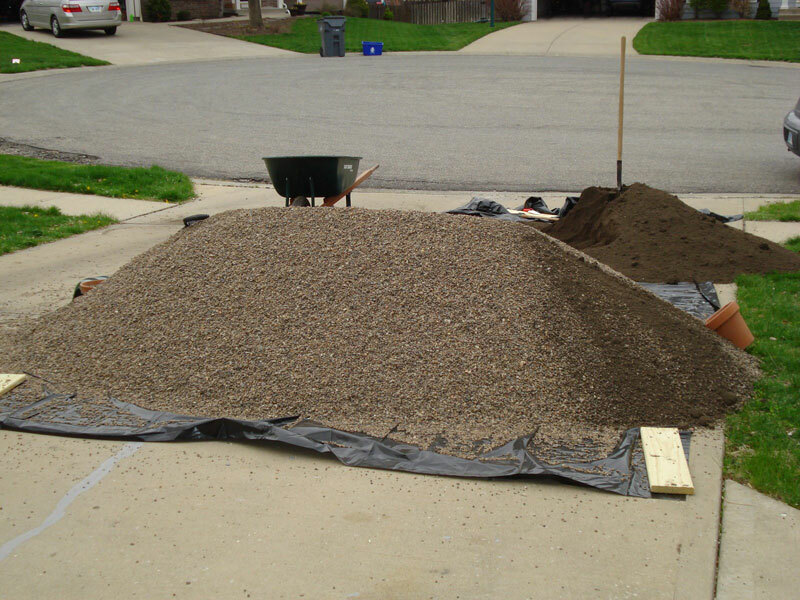 Because I went three high and used wider boards, I used plain fill for the bottom half (which is mostly sand where I live), then a layer of topsoil, then filled it to within about 3 inches of the top with potting soil. I’ve gotten some massive zucchini that way.